Computerized telescopes can be fantastic for beginners or experienced stargazers alike. With a computerized telescope, a computer is in-built into the telescope and locates the planets, galaxies and other objects that you want to see for you. This contrasts to a regular telescope where you need to locate the objects manually. Computerized telescopes (also known as computer-driven telescopes or computer controlled telescopes) have one big advantage – they are much quicker and easier to use when compared to a normal, manual telescope. The main disadvantage is that they tend to cost more than regular telescopes. There are also two types of computerized telescopes – motorized (GOTO) and non-motorized. GOTO models are the most popular – they find and track the objects in the sky for you. See the bottom of this article for more information on this and further analysis of the pros and cons of computerized telescopes. 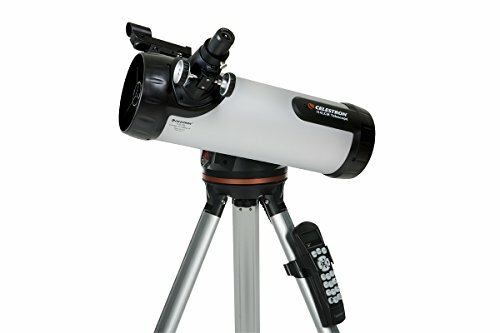 Below are the most popular and high quality computerized telescopes models available. Enjoy! 3. What are the advantages of computerized telescopes? 4. What about the disadvantages of computerized telescopes? 5. 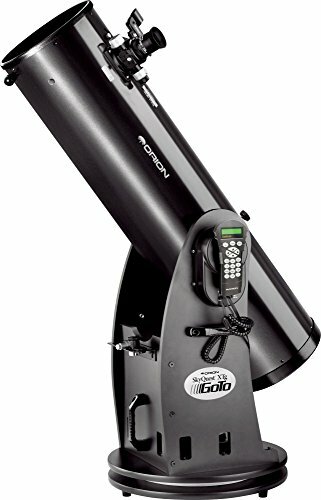 What is the best computerized telescope for me? This is a good beginner option, at relatively low cost with easy set-up and configuration. It’s powerful enough to see Saturn’s rings and even distant galaxies. Celestron’s SkyAlign system is quick and easy to use and there are over 4,000 objects in the database. It has some great features like the Sky Tour button that generates a list of the best objects currently visible. 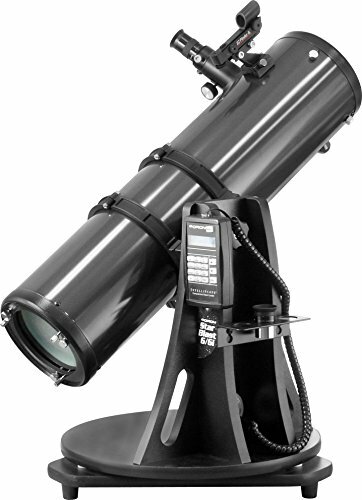 The telescope includes two eyepieces (high and low power), the computer controller, an adjustable tripod and a red dot finder. The biggest disadvantage is battery consumption. Standard batteries only last a few hours. In addition, the tripod it comes with is a little lightweight. Of the lower cost options in this list, this is our top recommendation. 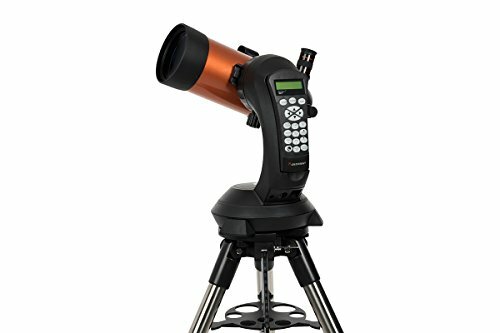 It’s one of the best-selling computerized telescopes on the market and this model is the smallest and most portable of Celestron’s NexStar SE range. It provides the magnifying power of a four-foot long telescope into a tube only 13 inches long. Also available are the 5-inch, 6-inch, and 8-inch models, which offer steadily increasing power, but with the trade-off of being heavier and gradually more expensive. All are fantastic though and so work out the right balance power, weight, and cost for you. It’s easy to use and set-up requires no tools. It has a database of 40,000 objects that it can find for you in the sky. The tripod that’s included is sturdy. The 4 SE model does have some limits to what you will be able to see – especially in terms of deep sky objects. Consider one of the 5, 6 or 8 SE models if this is essential to you and your budget will stretch that far. Also, note that rechargeable batteries not included and necessary or you’ll eat through disposable batteries quickly. This compact tabletop telescope can be used on any flat surface and offers good grab-and-go portability. It offers powerful performance and Orion’s computer database can find over 14,000 celestial objects. Tabletop telescopes are perfect for some people, but not everyone – think about whether this would suit you, or whether you would be better off with a telescope sitting atop a tripod. A popular model from Meade. It balances power and high-quality design (with sturdy tripod) at a low to mid-range price. It’s similar in cost and in what it provides to the Celestron NexStar 4 SE reviewed above and so consider both. 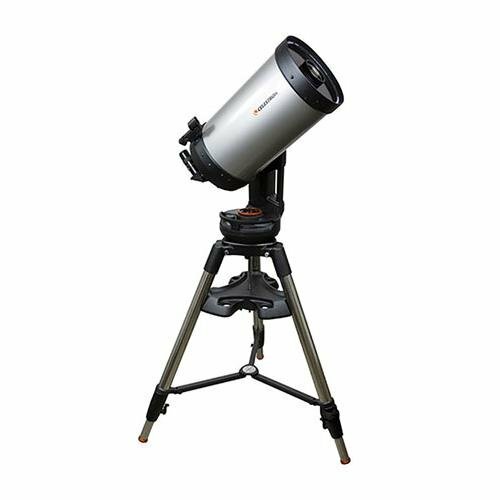 Celestron’s is more popular but Meade is known for producing great quality equipment. Operated with a hand controller and the database has over 30,000 objects. This telescope is a powerful and advanced computerized telescope. It’s a more serious investment than some of the models covered above, but this means that it opens up more viewing opportunities. Consider this versus the two models below if you have the budget. It can be controlled wirelessly from a smartphone or tablet with a free mobile app, which makes it fantastically easy to use. This model from Orion is a high-quality, high-performing model. This provides serious views of galaxies, nebulas, and star clusters and the database has over 42,000 celestial objects. It is a tabletop model, which can be perfect for some, but others may prefer a telescope that sits on a tripod. A serious investment that will provide great results if you have the budget. 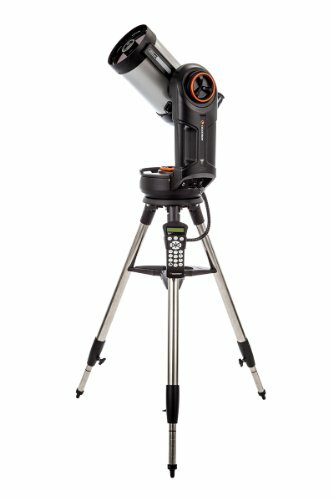 This is the highest quality computerized telescope on this list, and one of the best available until you get into extremely high-cost options (of tens of thousands of dollars). If you have the budget, this is highly recommended. Easy to use and offering serious power. 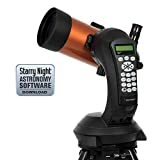 Consider versus the Orion above but also worth considering the Celestron NexStar Evolution 8 EdgeHD StarSense – this is a newer model and slightly easier to use, but offering a little less power. If you are a beginner, a computerized telescope will allow you to locate many more objects much quicker than you could find on your own with a manual telescope. They are relatively simple to operate and you do not need to be an experienced astronomer. They can also be a great option if you live in a city or under light polluted skies. This is because if you are locating objects manually you will be using the stars as reference points and this is difficult when you can’t see many stars. The main disadvantage is the higher price. Computer-controlled telescopes do cost more than regular telescopes, although there are some great deals to be had for any budget. If you have a set budget though, buying a computerized option may mean you get a less powerful telescope, since the more powerful a telescope is the more expensive it will generally be, and so adding the computer element further increases the cost. One other potential disadvantage is that learning how to use a manual telescope and locate objects in the sky yourself is one of the best ways to teach yourself astronomy. That being said, there is no reason that you cannot learn just as much with a computerized telescope, but it’ll be a little easier and so there are some obvious pros and cons to this. One other thing to consider is whether you are comfortable with electronics and computers. There can be software issues and some people might prefer manual options for this reason. 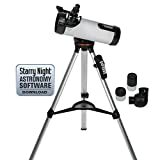 If you want to consider some great manual telescopes, then check out our reviews of the best telescopes for beginners. There are two types of computerized telescopes: 1) motorized (GOTO) and 2) non-motorized. A GOTO computerized telescope is the most popular option. It has the computer and motors built into the mount. You select the object you wish to see through the control panel on the computer, it then moves the telescope into position via motors in the mount. Those same motors then work with the computer to automatically keep the object in the eyepiece for as long as you wish to observe it. A non-motorized computerized telescope has a computer built into the mount just as with a GOTO telescope, but there are no motors. This means you need to move the telescope by hand to the object you wish to see, and the computer guides the way. These tend to be cheaper than GOTO models. One other option is that if you already have a manual telescope then you can buy a GOTO mount. 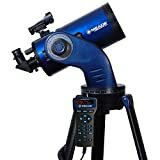 This gives you all the features of a computerized telescope but can be cheaper and make use of a telescope that perhaps you already have. For further background information on things to consider and how to understand the key specifications of a telescope, check out what to look for when buying a telescope.